At our company core, we have a group of dedicated master craftsmen and a firm belief in combining traditional methods of masonry with new techniques to achieve the highest of standards within the industry. The craft of stonemasonry has existed since humanity could make and use tools – creating buildings, structures, and sculpture. Stone has been used to construct many of the long-lasting, ancient monuments, artefacts, cathedrals and cities in a wide variety of cultures. 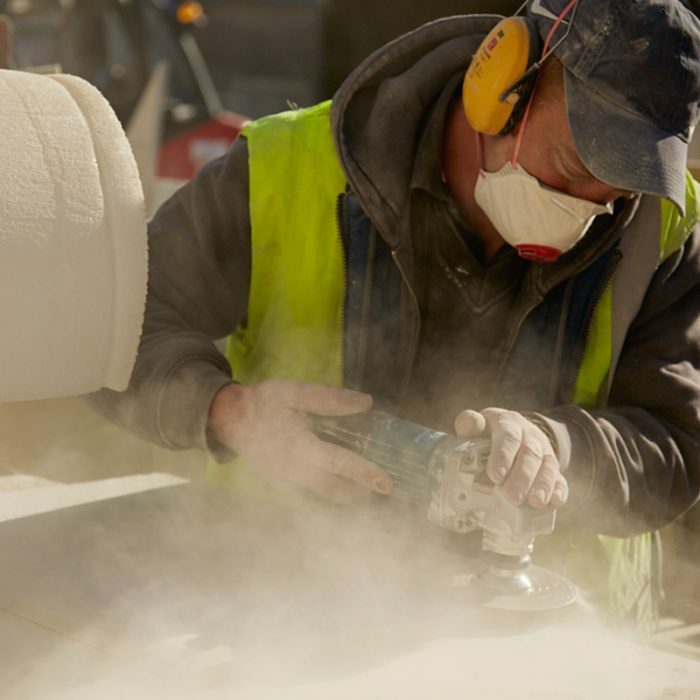 As a modern stone masonry company, we offer many skilled services. Our creative curiosity has led us towards an eclectic portfolio of natural and man-made products from around the world. 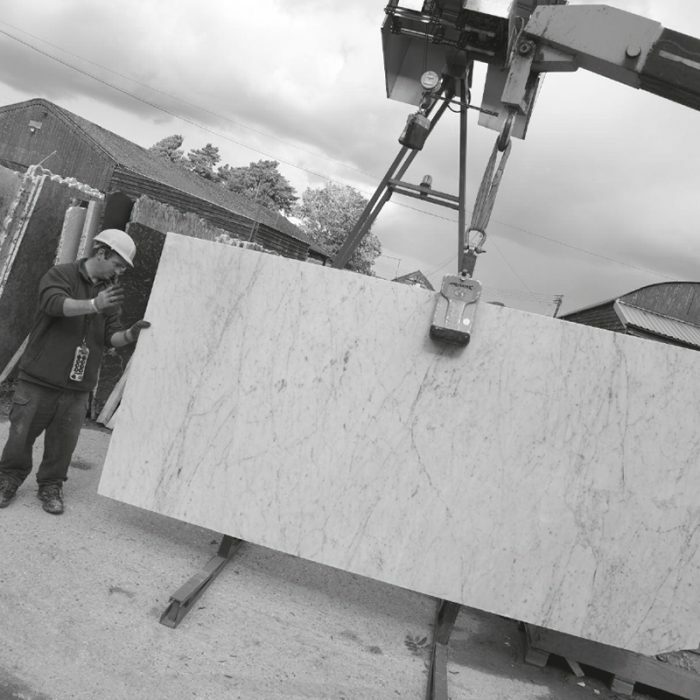 In our workshops, we create bespoke items in a variety of stone including Limestone, Sandstone, Marble, Travertine, Slate, Granite. 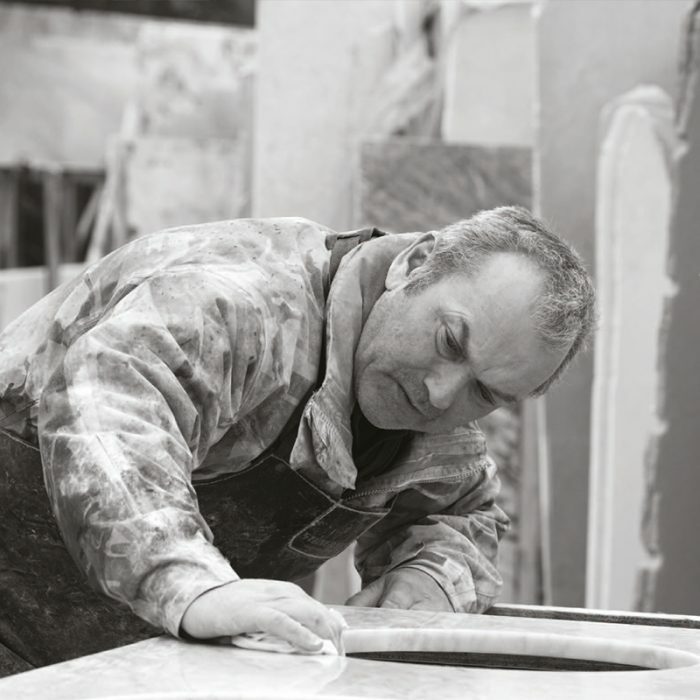 Jamie Warr has been part of the Artisans of Devizes team since June 2008, crafting staircases, vanity tops, bath surrounds and pool copings. Anything, in fact, that our clients might wish for. He recently created a stone cover to conceal a hi-fi speaker in a private leisure complex. The nature of stone means that every piece is unique. Sometimes, however, you may want an absolute one-off – a swimming pool, curved staircase, a made-to-measure shower, a feature stone. We’ll advise on what’s possible. 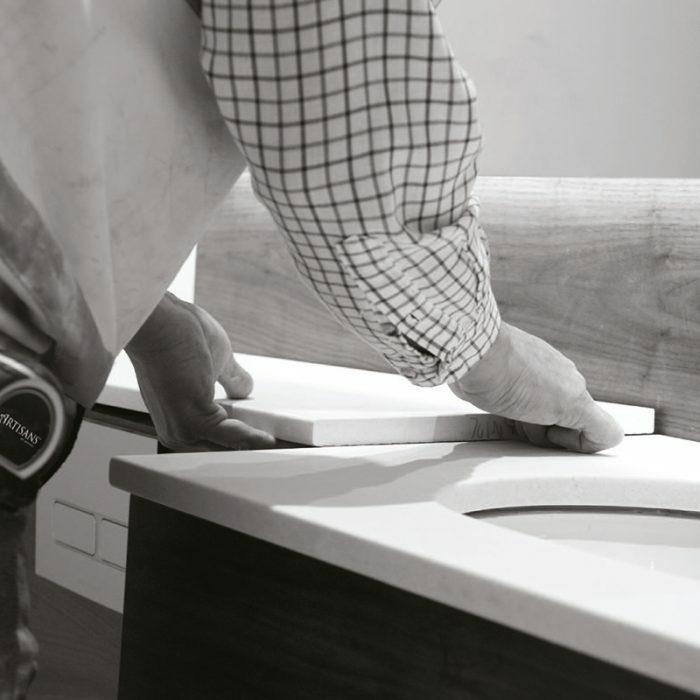 In our bespoke workshop, we have highly skilled craftsmen, the latest technology and a vast range of raw material. For over 25 years we have worked with home-owners, property developers and professional designers, see some of our favorite projects. 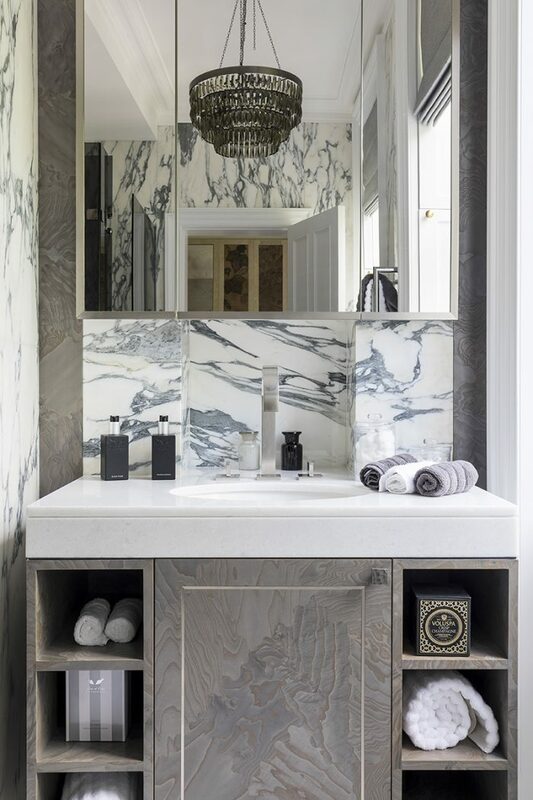 Bathroom in London where marble and contrasting wood veneers create a stunning effect. We also do restoration work, maintaining and cleaning natural stone again this is a highly-skilled process. 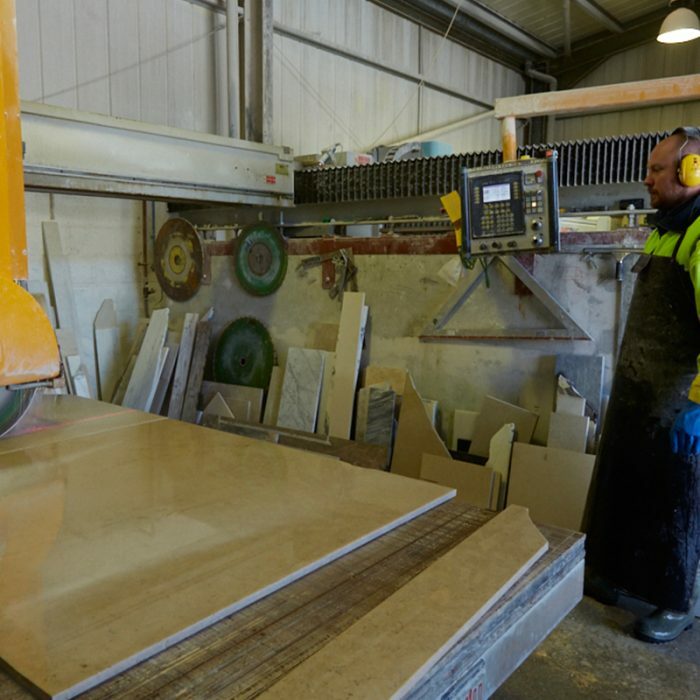 Our expert craftspeople use specialised equipment such as diamond grinding to deliver specialist cleaning, grinding, polishing and resealing of natural stone and some man-made products to create stone that is either pristine and polished, or subtly weathered and time-worn. Whether you are a home owner, a builder, interior designer, property developer or architect, we are always happy to talk through your ideas to create a vision of your finished project. Please call 01380 735888 or email for further information.